Sergei Prokofiev could be bound for the Breeders’ Cup after outclassing his rivals in the Newmarket Academy Godolphin Beacon Project Cornwallis Stakes. 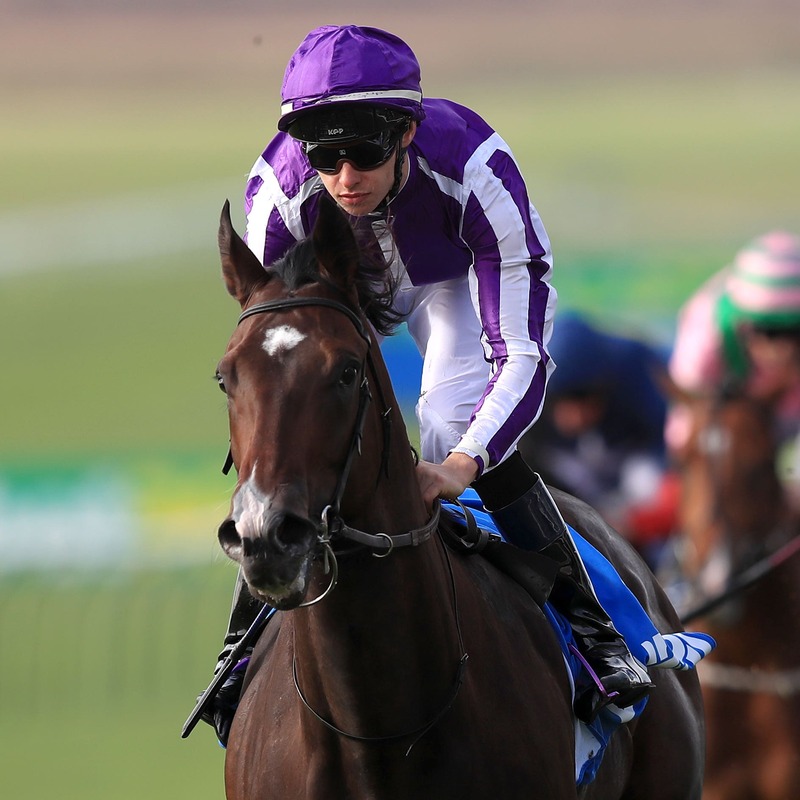 Aidan O’Brien’s colt looked a top-class prospect after registering successive wins in the spring and was far from disgraced when third behind Calyx and Advertise in the Coventry Stakes at Royal Ascot. He was a shade disappointing on his two most recent outings in the Phoenix and Middle Park Stakes, but showed his true colours in this five-furlong Group Three on the Rowley Mile under a confident ride from the trainer’s son, Donnacha. The 3-1 favourite was still at the rear of the field racing inside the final two furlongs, but made rapid headway once switched wide and passed the post a length and a quarter clear of Well Done Fox, without being asked for maximum effort. O’Brien said: “He was always so quick at home. The first time we stepped him up to six furlongs he lost that bit of brilliance. It’s amazing the difference a furlong makes – obviously he is really a five-furlong horse. “We were going to let him relax wherever he was. Donnacha did give him a very good ride. It’s very rare to come from the back like that. The father-son combination looked to have a strong chance of completing a quickfire double in the Godolphin Lifetime Care Oh So Sharp Stakes with Dundalk maiden winner Frosty. However, the full-sister to four-times Group One winner Winter finished well-beaten behind Roger Varian’s 12-1 winner Mot Juste. Successful on her third start at Beverley last month, the American-bred filly was pressed by Angel’s Hideaway late on, but passed the post three-quarters of a length to the good under William Buick. There is only one target trainer Ralph Beckett has in mind for Rock Eagle next season after he returned to winning ways with victory in the bet365 Old Rowley Cup. Taking a step to a mile and a half in his stride, the Teofilo gelding boxed on well under Harry Bentley to defeat the five-timer-seeking Astronomer by half a length. In doing so he formed the middle leg of a treble for Bentley and the opening leg of a double for the winning trainer. Beckett said: “Jeff (Smith, owner) was ribbing me that he was going to die before I ran him again as it has been a while. He is a nice horse, but an immature horse. “I was delighted with his Goodwood effort. Today was the race I wanted to run him in. The Rowley Mile was always going to suit him and the trip was never really in any doubt. It was only his fifth start and he is still learning on the job. Queen Power earned a 33-1 quote for next year’s Qipco 1000 Guineas with Paddy Power when taking division two of the Godolphin Under Starters Orders Maiden Fillies’ Stakes. The length-and-a-half success completing both Beckett’s and Bentley’s hauls, with the latter also on target with Limato in the Challenge Stakes. Beckett said of the 4-1 winner: “She is a really nice filly. I’ve had a series of seconds for the owner (King Power Racing), so I’m a bit relieved this filly has gone in first time. “She is very professional and straightforward. Seven furlongs was perfect and she will get a mile, no problem. Scottish Jig (11-4) found herself in the right place at the right time when landing the most significant success of her career when staying on powerfully to land the Listed Jumeirah Al Qasr Pride Stakes. Her trainer John Gosden said: “I’m absolutely thrilled to win a Listed race at Newmarket with her. They went a little hard up front. There was a touch of an incident and we were completely sheltered from the wind and the incident.